Veteran of World War II and the Korean War who rose to the rank of four-star general. He spent two years at the University of Michigan before transferring to the United States Military Academy at West Point. He served in the Pacific theater of World War II and took part in four assaults from the sea. Later, during the Korean War, he commanded an infantry division. He and his wife, Florence, had five children. 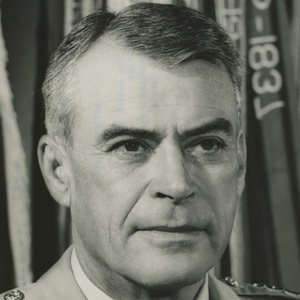 Courtney Hodges was another notable U.S. general.